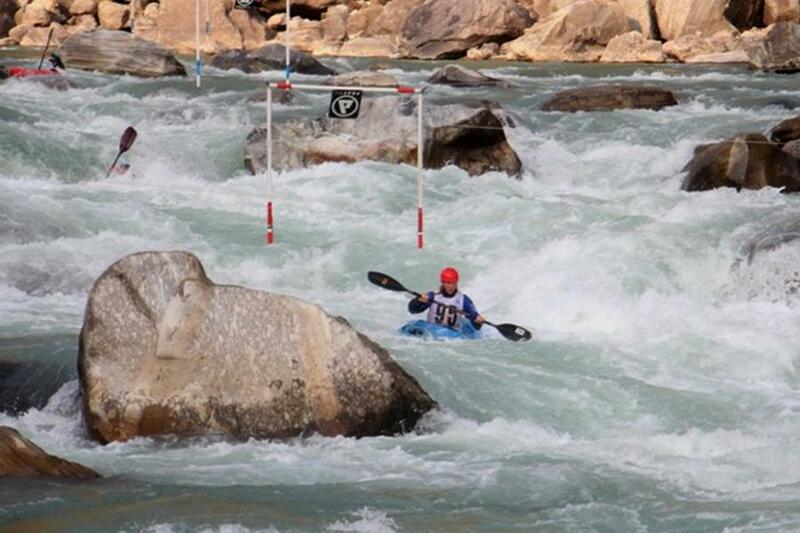 Kathmandu, Nov 26:The 17th edition of Himalayan White Water Challenge 2018 kicked off in Nepal on Saturday with the participation of national and international Kayakers. Around 100 Kayakers from at least 20 countries have participated in the three-day event hosted by the Nepal Association of Rafting Agencies (NARA) in Marshyangdi River, located some 190 km away from the capital city. According to the organizer, the adventurous event features kayaking related activities including Kayak Down River Race, Extreme Kayak Slalom, Head to Head Boater Cross, among others. “Nepal has thousands of rivers, some of which are the world’s finest destinations for rafting and kayaking. Thus, we have been organizing this event annually to promote and develop adventure water tourism in the country,” Nim Bahadur Magar, president of NARA told Xinhua. He further said that the event will also contribute to attracting more foreign tourists ahead of Visit Nepal Year 2020, and will assist the development of the country’s economy. Nepal has some 6,000 big and small rivers of which the government permits rafting in 16 big rivers including Trishuli, Bhotekoshi, Sunkoshi, Karnali and Kali Gandaki, among others. There are around 65 rafting agencies in Nepal and nearly 1,500 guides are involved in this sector.